We move through an athletic core-strengthening vinyasa flow using light weights to build core strength, sculpt and define. This is a MWF morning class Groove Yoga in Berkeley. Mondays we focus on the warm-up and variations of a single pose, Wednesdays we do a silent practice in high Prasana Yoga style (multi-dimensional vinyasa from the middle of the mat, with a base pose of saddle posture and careful work with the breath and hands), Friday we do a more traditional straight-line vinyasa class with the Sun Salutation as the organizing form. Explore new challenges in this dynamic class. Learn to further refine your technique while safely exploring more vigorous sequences, deeper breath work and challenging poses. Practicing yoga can release tension in your joints, give you greater range of movement, soothe your back, and grant you increased comfort in all aspects of your life. Learn how pranayama breathing can enhance your practice and help liberate your mind in surprising ways. 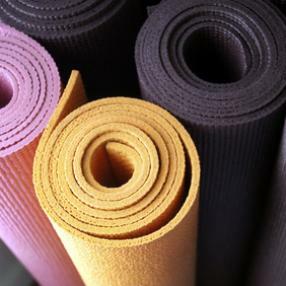 Yoga mats are provided, or you can bring your own. Comfortable clothing and bare feet recommended. This is a 75 minute Power Vinyasa yoga class suitable for all levels. Power yoga links breath to movement, building strength, flexibility and balance in body and mind. 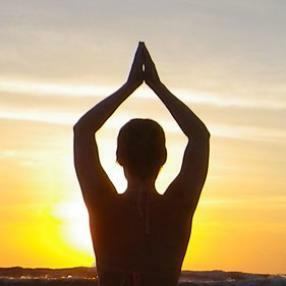 It is different than other forms of yoga in that it is high-energy, music-filled vinyasa flow classes. While it maintains the central principles of ancient yoga, power yoga goes well beyond the static, traditional postures of yoga. 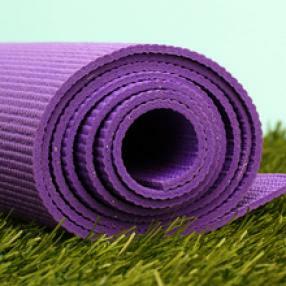 The Green Yogi seeks to make the practice accessible to men and women of all ages and fitness levels. beginner yogi; emphasizes breathing to connect the body and mind. This class focuses on poses to stretch and strengthen the legs, back, and shoulders. Emphasis is given to the basic alignment of the standing poses. Heated to 85 degrees, 60 minute class. The Rocket is a dynamic, lively-paced Vinyasa flow class in the system of Ashtanga. Called the Rocket because "it gets you there faster," it empowers you with the knowledge that you're stronger than you think you are, and that there's nothing to fix: come as you are and do what feels right. Just show up. Rocket 1 focuses on opening and strengthening the lower half of the body: legs and hips. Rocket 2 focuses on strength and flexibility in the upper half of the body: back and hips. Rocket 3 Happy Hour! plays with the dance of the breath and is all about learning to go with the flow. Combining all the poses from Rocket 1 and 2, the transitions between poses become just as valued as the poses themselves. intermediate/advanced yogis; will prepare students for a vigorous flow style of yoga (Vinyasa) that synchronizes breath with movement. It will offer a balance of strength, flexibility, and endurance to challenge the fitness enthusiast. The course will begin with instruction on the alignment of the poses and move toward linking all the poses together in a continuous flow by the end of the session. Heated to 85 degrees; 60 minutes.